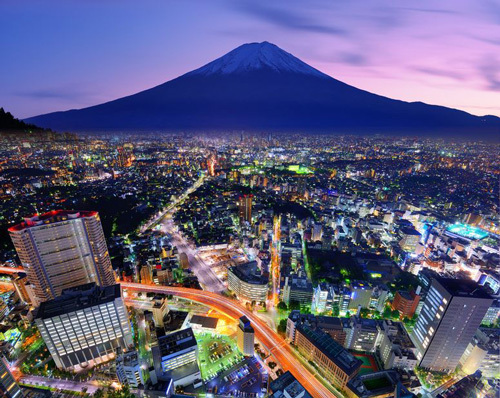 No other city in the world accommodates more people in its metropolitan area than Tokyo. 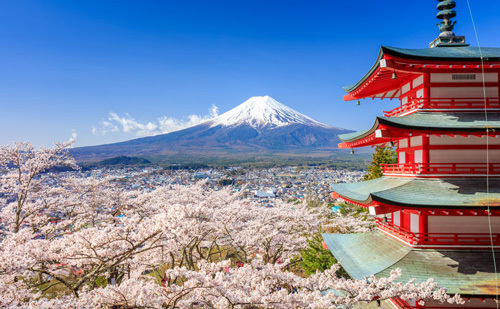 With more than 37 million residents, over a dozen different metro lines, thousands of cherry trees, and an active volcano of Mount Fuji lying on its southern outskirts, Japan's capital is an incomparable city. The city of Tokyo was once a small fishing village called Edo. Over the years, a large castle was built in the village, so in 1603, Edo became the center of a military government. Already in the 18th century, Edo's population topped one million. It was considered to be the actual capital of Japan, even though the Emperor of Japan lived in another city called Kyoto. In 1869, Emperor Meiji was the first one to make Edo his permanent residence, which why the city was renamed Tokyo (meaning "Eastern Capital" in Japanese). In the 20th century, Tokyo suffered two major catastrophes: a great earthquake in 1923, and heavy bombardments during World War II. Yet, the entire city was rebuilt quickly after the war, and this was showcased during the 1964 Summer Olympics. As the city was developing, more and more people moved, making Tokyo the most populous and one of the busiest places in the world. Two biggest religions in Japan are Shintoism and Buddhism, and Tokyo expectedly hosts a great number of religious temples. Some of the most notable ones are located in Asakusa, a part of the downtown Taito district of Tokyo. Sensoji, the largest Buddhist temple in the city, is the main attraction in Asakusa. This temple is famous for its Kaminarimon (or "Thunder Gate") gate, decorated with a giant lantern and statues of two guardian gods. After passing this gate and the main Hozomon gate, the Kannon Hall, originally built in 628, stands crowded with worshippers. 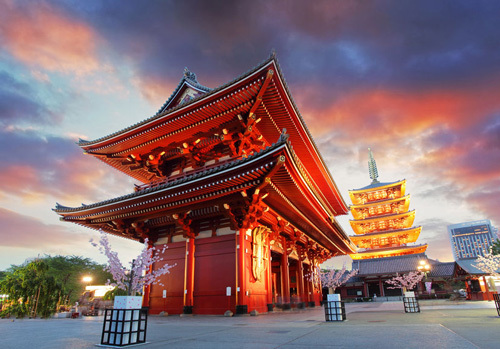 In Asakusa, it is also possible to visit a Shinto shrine called Asakusa Jinja, where the Tokyo's largest festival Sanja Matsuri takes place every May, attracting up to 2 million visitors. Chingodo Shrine, dedicated to tanuki, a raccoon-like character from Japanese folklore, is also situated in this neighborhood. The long tradition of Japanese Imperial Family still continues, although these days the political power of the Emperor is limited and symbolic. The primary residence of the Emperor, called Imperial Palace, is located in Tokyo. Built on the site of the Edo Castle, the modern palace is mostly used for receptions and other imperial court functions. The Imperial Family of Japan also lives in this complex, surrounded by the beautiful Eukiage Gardens. Special guided tours are allowed only two days a week, but every January 2 and on Emperor's Birthday (December 23) all people are invited to come in, where the Imperial Family greets them from the palace's balcony. 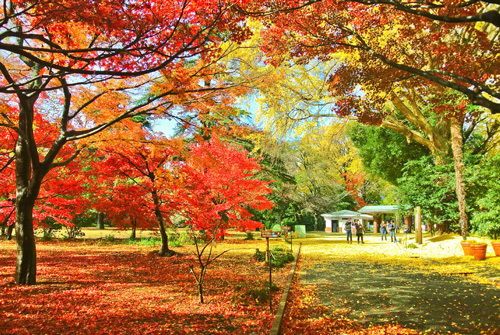 Within the imperial complex, there are also several parks which are open to the public all year long. 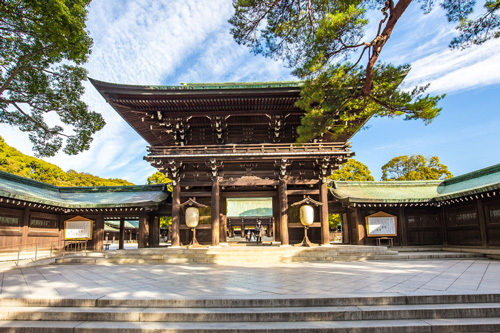 Another top tourist attraction is the Meiji Shrine, dedicated to Emperor Meiji and his wife Empress Shoken. The shrine complex was built shortly after the emperor died in 1912, in a garden area the emperor and his wife used to visit. The whole area is in fact a large forest, covered by more than 120,000 trees of 365 species, most of them donated by people from all parts of Japan. Besides the shrine, there is a treasure museum with personal belongings of the Emperor and Empress, a memorial picture gallery, and a memorial hall, nowadays used for Shinto weddings. 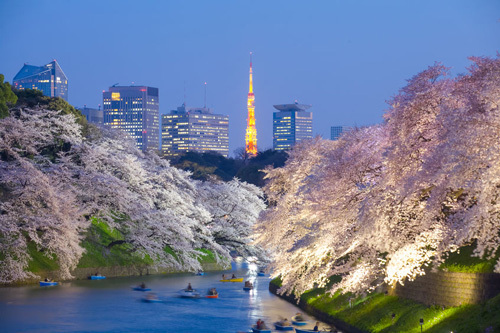 What makes Tokyo especially beautiful is the old Japanese tradition of cherry blossom appreciation. In springtime, white and pink flowers of cherry trees, called sakura in Japanese, decorate the entire city. The ancient practice of sitting and picnicking under a blooming sakura tree is called hanami. When the blossoms finally appear, the whole city goes out to celebrate. Cherry blossom is often presented as a symbol of Japan, especially on paintings. Tokyo is one of the few places in the world with a Disney-themed amusement park. Tokyo Disneyland includes many smaller "lands" or parks, based on children's (and adults') favorite cartoons such as Peter Pan and Snow White. Considering that Tokyo is on an island, sea food is everyone's favorite. Visit the Tsukiji fish market to buy some of the freshest fish in the country. This market was originally built to provide food for the Edo castle, and it is now a recommended place to go to for a sushi (traditional Japanese rice rolls with fish) breakfast. There are many green spaces around Tokyo. For a more active visit, go to Yoyogi Park, where many visitors play sports or practice their hobbies. The Shinjuku Gyoen National Garden, on the other hand, is perfect for long walks, with its breathtaking gardens, including a traditional Japanese one with a teahouse. People go to the Yoyogi Park to __________ their hobbies. Edo was Emperor Meiji's __________ residence.  The palace is used for imperial court __________. Edo's population quickly __________ one million. There are two statues of __________ gods by the temple. Tokyo is an __________ city. The market provided food __________ the castle. Today, the Emperor's power is __________. Disneyland is a __________ park. Where did the trees in the Meiji Shrine forest come from? When was Edo renamed Tokyo? Why does the Emperor greet the public on December 23? How do people appreciate cherry blossoms? What is sold at the Tsukiji market? Weddings are held in the Imperial Palace Shrine. Weddings are held in the Meiji Shrine. Sensoji is the largest Shinto temple in Tokyo. Sensoji is the largest Buddhist temple in Tokyo. 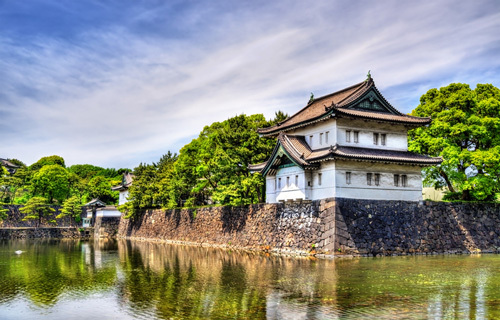 "The Imperial Palace can be visited any day of the year with a special guided tour." "The Tsukiji fish market is as old as the Edo Castle."